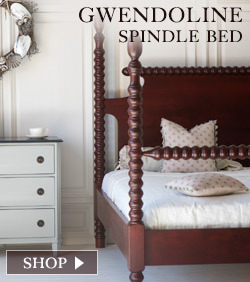 The Gwendoline Spindle Bed from The Beautiful bed Company is one of the best selling beds in America. 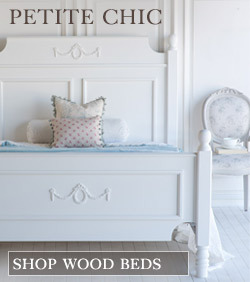 Admire the 2 hand carved spool spindles and the spindle adorned headboard. All made by our talented artisans in California. This bed lends itself to many interior design styles and will look equally at home in a New York loft apartment, a rural farmhouse or a coastal cottage. The spool design of this bed is timeless. This piece is custom built to order, by our talented artisans, using time honored carpentry techniques. We use alder woods, unless a pine wood finish is specified. 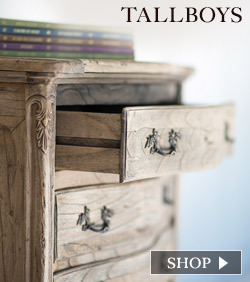 The characteristics of hand finished pieces, made from solid woods, will vary from piece to piece. The variations in the wood are seen as the character of the piece and are not defects in any way. COLORS: This item can be finished in custom paint colors (i.e., Benjamin Moore, Farrow & Ball, Designers Guild, or other major quality brands). 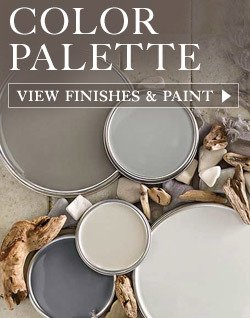 Please Select CC (custom color) and enter your paint choice (color and company name) in the box below. We will order the paint, and invoice you separately at cost. Measurements are an approximation, and photographs may not accurately represent the color due to variations in computer screens. All Full to King sized beds ship with a Hollywood Steel Bed Frame system to support your low profile foundation. If properly cared for, your furniture from The Beautiful Bed Company should become a family heirloom passed down through generations. Solid wood is a natural material, and therefore will shrink and swell with the seasons. Be careful not to expose your furniture to extremes in temperature or humidity, and avoid exposure to direct sunlight or heat sources. Please clean wood surfaces with a tightly wrung, barely damp cloth, then immediately use a dry cloth to dry your piece. Our paint finish has a satin sheen and should not be waxed or polished, as that will alter the finish. OUR GUARANTEE: The core frame and construction of our furniture should defy the laws of aging, and are therefore warranted to be free of defects due to faulty materials or workmanship for the lifetime of the original owner, under normal care and use. Shipping Method: Oversize and heavy items will arrive via White Glove Freight delivery. Furniture will be carried into home, and be assembled onsite (if needed). The shipping company will contact you prior to delivery to schedule a date and time convenient to you. Someone must be at home to accept and thoroughly inspect the item prior to signing for the delivery. Click and Collect: Available for customers living in Los Angeles and Southern California areas. Please select this option at checkout if you would like to collect your pieces from our location in Gardena, CA, or if you would like to arrange your own shipping. No shipping charge will be added at checkout. May We Suggest These Lovelies?